In part two of his series of three articles about deep transformational currents, Markku Allison, the founder of Scan, a strategy, culture, and design consulting firm, explores the second of the currents: the nature and fundamentals of collaboration. Read his introduction to the series here, and part one here. 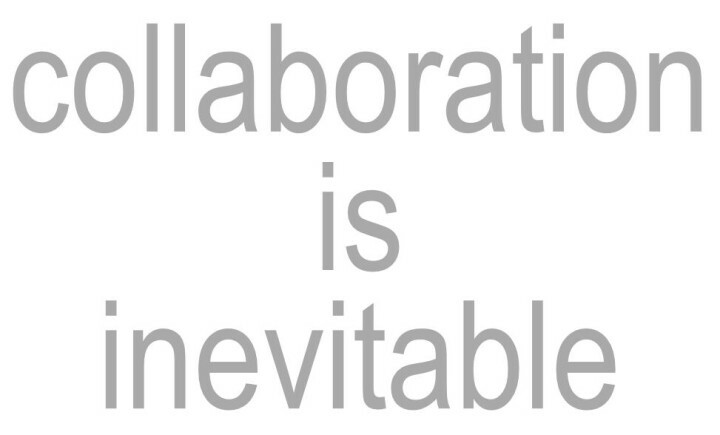 We don’t really have a common, shared understanding of what collaboration actually means. 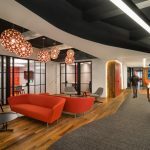 Earlier this year on this site, Bob Fox posted a great article titled “Ugh, Collaboration”, wherein he asked a group of designers and architects to sketch out their ideas for a collaborative space. While his assignment for sketchers was solution-focused, it underscored for me that what “collaboration” means to one person (or team, or organization) is many times quite different than what it means to another. However, when we work together to find shared understanding, we can begin to hold ourselves accountable to one another in ways that truly support collaborative effort. Last week we looked at the idea of complexity. It it pervasive in today’s workplace: almost any project of any type or scope is now a complex challenge, as opposed to just simple or complicated. The number of moving parts and players contributing to decisions is great. Our ability to control outcomes goes down as these numbers grow. But simply exposing complexity isn’t enough — dealing with complex challenges requires a whole new approach. We already know from experience that the tools that worked for complicated problems aren’t flexible or agile enough for complex problem solving. Nor are the cultures rooted in those tools and techniques, which is to say most cultures. Part of our challenge lies in the way we think about projects and teams. The diagrams below illustrate this point: In the image on the left, we lump things together under team or company bubbles, thinking about the project as some kind of abstract effort existing somewhere between us and our partners. We tend to think and manage more like the image on the left, trying to control and manage work in team- or company-related fashions. But those team or company boundaries don’t exist in the physical world — they are abstractions, lines that define contractual obligations, and rarely reflect how we actually work. I suggest the image on the right is more reflective of how today’s work actually gets accomplished. We would benefit from recognizing that our projects are defined by organic boundaries cutting across team and company lines, containing a flowing series of decisions made over time by networks of individuals and groups, sharing information and resources. We think and manage more like the left image than how we should, shown at right. Image by the author, Markku Allison. “How many of you consider yourselves to be effective collaborators?” (Most people raise a hand). “How many of you have worked with someone who wasn’t an effective collaborator? (EVERYONE raises a hand). “And if those people were in the room today, how many of them would say they are effective collaborators?” (Everyone says “haha”). My point is intended to be a bit funny but it also points out a fundamental truth: we have no common, shared understanding of exactly what effective collaboration looks like, or how to do it. We all work on group projects in school and we get them done, usually by the force of one or two participants’ wills. We work on teams in the workplace all the time, but it’s not easy and rarely what we’d call “effective”. With very few exceptions, at no point in our education or careers do we have someone watching us, stopping our collective work, and saying, “What you did just then? That was (or wasn’t) supportive collaborative behavior.” We still muddle through. I run another exercise with groups. Everyone in the room gets three index cards. Each person is asked to write down what they believe to be the three most fundamental principles of effective collaboration, one per card. I randomly select a few people and ask them to share their three principles with the group, and ask everyone in the room to stand if they have written down the same three principles (order unimportant). In a room of 200 people, what’s your guess for how many share common principles? This shift requires fundamental changes in behavior. A change in workplace culture. It’s not easy. Collaborative behavior is not in our cultural DNA. In my experience, it’s tiny. Really tiny. Like three. Three! Out of 200. Seeing this repeated over time cements my belief that we really don’t have that shared, common understanding of what constitutes effective collaboration, and so it’s not a surprise when teams in the workplace struggle. But — we can do better! Simply by working through definition exercises in a transparent, inclusive fashion, we can arrive at definitions of what collaboration will mean to us. And having those definitions in hand, we can design tools and processes to keep ourselves accountable. We don’t have to start completely from scratch. We have much of the shared DNA of an understanding, we just need to make it explicit. For instance, if I take that same room of 200 and their three cards each, and ask them in groups of six to eight to lay down their cards and agree on what they think the three most fundamental principles are within their independent small groups, and then run the same test of asking one group to share, the commonality goes up — WAY up. Suddenly 60 percent to 80 percent of the room are standing when we share the three words. From there it’s a short sprint to common understanding. We could take the list of words from the small groups and with one or two filtering steps find three to five fundamental principles on which all 200 could agree. This shift requires fundamental changes in behavior. A change in workplace culture. It’s not easy. Collaborative behavior is not in our cultural DNA. We are by nature (or maybe more by nurture) inclined to forge ahead toward a solution as soon as we are presented with a problem, where in a collaborative culture there’s an immediate pause, a looking around, a questioning of who else needs to be included, involved, or consulted. An even bigger challenge lies in our interpretations of what our definitions of collaboration mean. When I say “active listening” or “respect,” it’s quite possible — almost likely — that your specific understanding of what those terms mean is somewhat different than mine. These differences in understanding influence thinking and behavior, and can undermine effective collaborative work. In the end, it all comes down to language. Next week, in the final installment of this series, we’ll examine the power and subtlety of language in the workplace, and how it is central to effective collaboration in service to today’s complex problems. Great article, I hope the next stage of the series alludes to putting language into action after formally creating a common definition. I would be curious to see what approach exists for individuals overcome their own perceptions of the 6 common principles. Case4Space: The Wake Up Call?